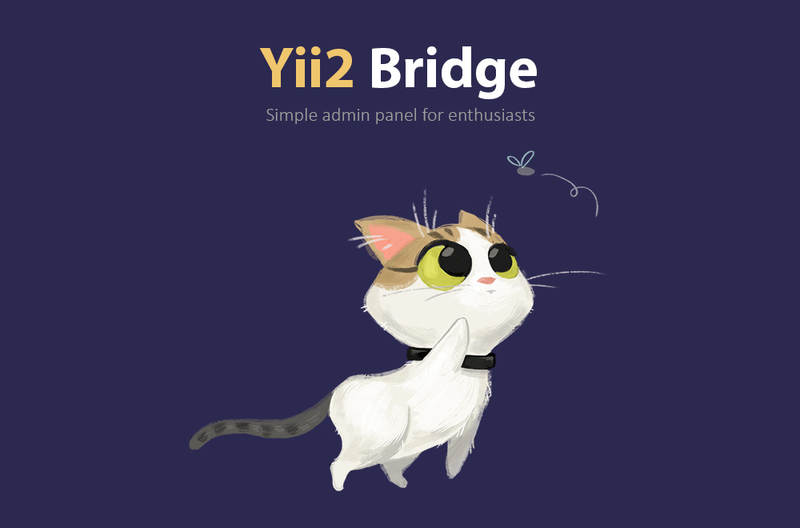 Bridge delivers you simple content management system that utilizes best production-tested components and plugins for Yii2. Be sure to configure module (instructions below), before running migrations. // Add your projects modules here to keep right routing. Warning! This command is running with --interactive=0 flag, which means it will not ask confirmation for it. After running every step above you should have your admin panel running on /admin route. The only thing left is to run command to create users. Gii that is provided with bridge is packed with some improvements to basic gii. When generating model with db fields ending by image or file, it would automatically add corresponding upload behavior. You can turn this behaviors off by clicking on checkbox in generator interface. And also it has Bridge CRUD generator, which will generate necessary fields inputs and display it nicely to the index table.